Want to sell all or part of your note payments in Washington? We will make you a fair offer and then buy your note in a timely fashion. No hassles. No obligation. 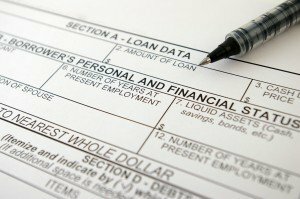 Need to sell a Washington Mortgage Note? Well, American Funding Group is looking to buy private notes in Washington now. 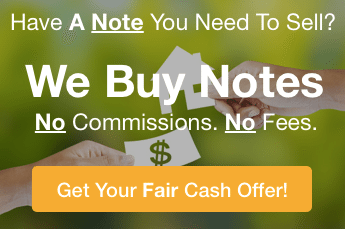 For over 25 years, we have resolved difficult issues which occur in selling a Real Estate Note… buying notes which other note buyers couldn’t buy. We are Washington Note Buyers. Do you want to sell a trust deed , sell a private mortgage note or sell another real estate note? Then you are at the right place. For over 25 years we’ve helped note holders like yourself who want to sell all or part of the payments in their note to free up cash. And with this cash, you can handle other financial obligations, pay off debt, make another investment and get rid of the burden of IRS record keeping and payment collections… not to mention potential foreclosure issues or payor problems. To get started… to free up cash from your note, fill out the form on this website. Then the hassle, the stress, the waiting for your money – ALL OF IT—could be OVER in a few short weeks (see how below). What Types Of Private Notes Can Our Washington Note Buyers… Buy Quickly? Not only do we buy notes in Washington but we have been buying notes in all states for over 25 years… and, we’ve uncovered and solved many problems that other Note Buyers couldn’t resolve. 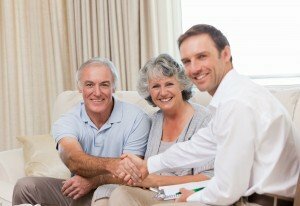 As we are real estate note investors, there are no fees. Our Washington note buyers provide professional service so that you can sell all or part of your note fast and no longer have to worry about having your cash locked up in that note… or the headaches of collecting payments or doing the accounting on that note. We take care of it all in a smooth process (Learn How To Sell Your Mortgage Note ››). Feel free to call us anytime at (772) 232-2383 or simply submit the short form on this page to get the process started! Selling All Or Part Of Your Note Is very easy.. You’re on this website because you want to free up cash in your note fast, right? Our Washington Note Buyers Program at American Funding Group is straightforward. Submit the note info on this website or give us a call at (772) 232-2383 and let us know about the note, the property & borrower. Then we’ll evaluate your note and offer you the highest possible price. You can have your funds in your account within 21 days. You pay no costs at all. We handle everything… the process from start to finish is easy and smooth. For over 25 years that we have bought notes that other Note Buyers couldn’t purchase. What Will We Pay? As each note, each property, each payor is different, we customize our purchase plan to your situation. We can buy all payments and totally relieve you of any responsibility… or get you more money over time by paying you some cash now and some cash at a later date. It is even possible to receive the full face value of your note (ask us how to receive the max price by calling (772) 232-2383 today! ).